A very small percentage of doctors are responsible for a majority of the malpractice claims and complaints. Here are some tips to help you choose the right new doctor. Know your Insurance – Check with your insurance provider for a list of doctors in your network. Many companies allow you to search their website for providers based on your location. You should find a provider you trust in your network so a visit to the doctor doesn’t break the bank. Check for Red Flags – Docinfo.org and Floridahealth.gov are websites you should be familiar with if you are doctor shopping. They allow you to verify your doctor’s license, see if they have been sued or disciplined. Look deeper – The Informed Patient Institute analyzes physician report cards by listing which factors are considered and which are left out of each physician ranking database. Many of these databases allow anonymous reviews and multiple reviews from the same person, so don’t always rush to see the “5 star” doctor unless you know how the stars were earned. Check hospital affiliations – Your doctor may determine which hospital treats you for surgery or other planned procedures. Make sure your doctor is affiliated with a hospital that is compatible with your insurance and you are comfortable with the reputation and skill of the hospital. Consider compatibility – Think of your first appointment with a new doctor as a first date. Does the doctor listen to your concerns? 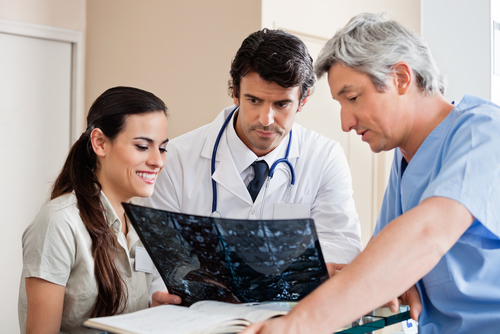 Does the doctor take time to explain your diagnosis and treatment plan? Are you able to get in touch with the doctor for a follow up visit or is the office schedule booked full weeks in advance with long wait times? Finally, consider the office environment and how you feel about rest of the staff. Content adapted from Consumer Reports Magazine May 2016 issue.